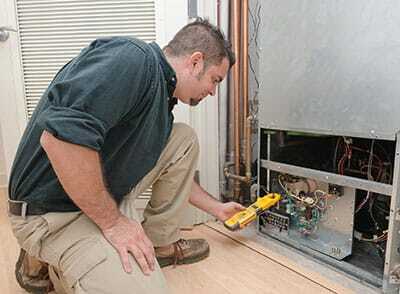 A malfunctioning AC or heating system often makes home owners panic, especially when it happens in the worst of times. Knowing what we know about these units, we can somewhat understand the panicking – there are just so many ways in which an AC or heater can break down that there's no way a home owner can know if a repair is even feasible. Still, we're going to give you a couple of guidelines so you know what's what, although you'll definitely want to call us to be on the safe side. While ACs can break down in many ways, they're often easier to troubleshoot than heaters due to the former being less varied. It's hard to say which malfunction is the most common, but ice accumulation probably ranks high up there. If your AC isn't working or is only working partially, there's a good chance that there's some ice stuck on the inside. Open up the unit and check the area around the coils – do you see a buildup of ice? If so, leave the unit off for a while so the ice can melt and the AC might just get back in order. 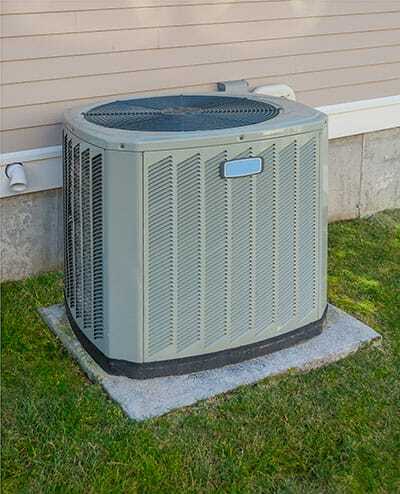 You can also try checking the AC's drain pipe if you have been using the unit for a while – over time, these can get clogged and cause quite a few issues with the AC unit. If you're noticing foreign objects inside the drain pipe, removing them might do the trick. If these methods don't help, there's a good chance that you might be facing a problem of a more technical nature that requires professional intervention. We suggest you don't try to fix your AC on your own, as doing so could make things worse. Heaters, on the other hand, are harder to troubleshoot because of their variety. In the case of electric heaters, faulty wiring or a broken-down coil is the most common cause of a malfunction. A broken-down thermostat is also a fairly common cause of an electric heater malfunction in those units that are heavily regulated by a thermostat with an upper limit cap – while replacing the thermostat isn't particularly difficult, it still shouldn't attempted by anyone other than professionals as tinkering without sufficient technical knowledge can create additional issues. Gas heaters aren't as prone to malfunctions, but when they do break down, they can pose a great danger to everyone in the house and even others in the vicinity – if your gas heater is showing issues, give us a call without delay. You can always try troubleshooting your HVAC on your own, but there is no need to – we're happy to come over and see what's what. With Boerne Air Conditioning Experts examining your faulty HVAC, you won't have to second-guess what's wrong and how much the repairs might cost you. Our customers can choose between simply having us examine the unit or repair it as well, although we suggest the latter – the weather can be extremely unpredictable, and you don't want to get stuck with a faulty heater or AC unit when it's time to adjust the indoor temperature.